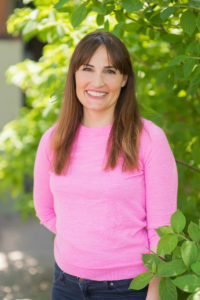 Jennifer Parsons is a licensed naturopathic doctor, who practices Traditional Chinese Medicine, including acupuncture, cupping and cosmetic acupuncture. She is passionate about helping children with anxiety, and has developed a program that provides parents with techniques to manage their child’s worries, fears and phobias. Jennifer is a graduate of Mount Allison University and the Canadian College of Naturopathic Medicine. In the course of her clinical internship she served disadvantaged communities at Queen West Community Health Centre and in a mobile medical clinic with Naturopaths Without Boarders in Cap Hatien, Haiti. She has completed Facial Rejuvenation Acupuncture certification with international recognized Facial Rejuvenation Acupuncture authority Virginia Doran, and has completed training as a naturopathic birth doula. In her spare time, Jennifer enjoys playing, singing and dancing with her son, cooking healthy meals for her family, practicing yoga and traveling. She is a committed lifelong learner and has a sincere wish to help and educate others in a spirit of kindness and compassion. Naturopathic medicine and cosmetic acupuncture treatments provided at Toronto Centre for Naturopathic Medicine are covered by most extended healthcare plans. Difficulty sleeping? Jennifer offers five simple suggestions for a better night’s sleep!